The people have spoken and clearly what they have said is they are not happy with the Fine Gael/Labour coalition – with a prospect of a hung Dail, another election or two very uncomfortable bed fellows. An Ipsos MRBI exit poll for the Irish Times has put Fine Gael at 26.1 per cent while Labour is set to win just 7.8 per cent of the vote. This means Fine Gael and Labour would get a combined 34 per cent – a statistic that could diminish their chances of returning to government. 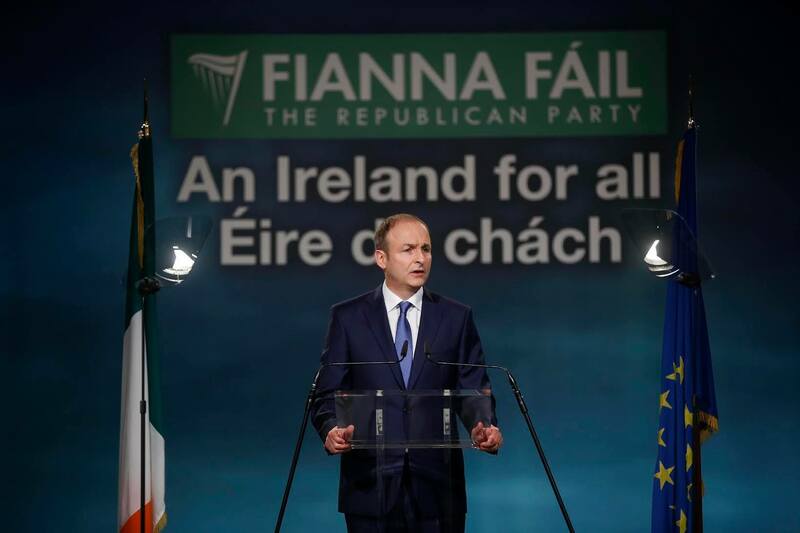 The only way to move forward – avoid a hung Dail or second election – would be a coalition between rivals Fine Gael and Fianna Fáil, which the exit poll put at 22.9 per cent. The 34 per cent share puts the coalition short of the 41-42 per cent majority needed to form a government. One major problem that seemed to occur during the election was that many voters did not feel swayed to vote for anyone or struggled to choose – meaning some voted could have gone to smaller independents, Sinn Fein or the Left parties. Support for Sinn Féin has increased since 2011. There are also big gains for Independents and smaller parties. SF gained a staggering 14.9 per cent of the vote – compared to 10 per cent in 2011. This position could even mean that Fine Gael could choose to make a coalition with them – though this is very unlikely – along with Labour to create a rag tag government. 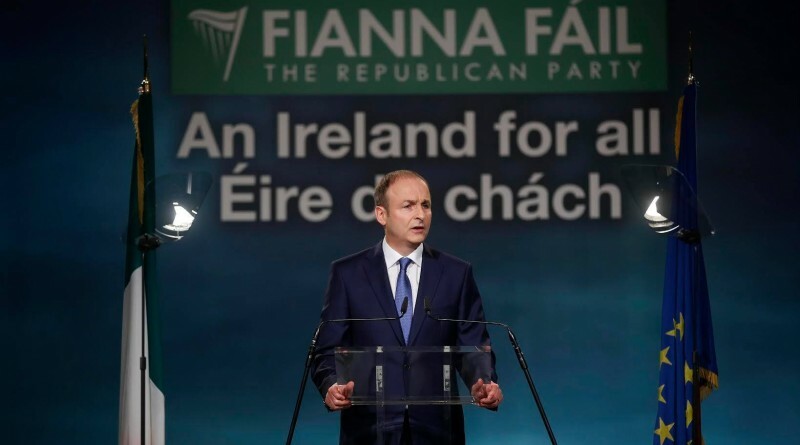 The way Fine Gael had been talking in the run up to the election seemed to suggest that any deal with Fianna Fáil or Sinn Fein was out of the question, however Enda Kenny declined to rule out such a scenario after the election. The most likely option is that Fine Gael/Fianna Fail will join together to gain power. While they may talk of being bitter enemies – the truth is the two parties are very similar. There are no strong ideological differences between the two. The two have both cut services for the poor and vulnerable and both favour the wealthier sections of society. Fine Gael may have blamed Fianna Fáil for the crash – but in truth would they have done anything differently? Many people were unhappy with establishment politics showed by the poll. 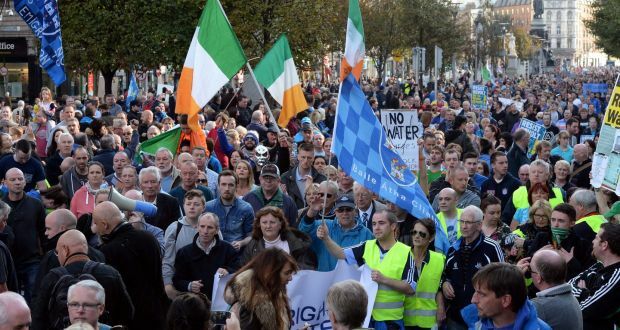 The water charges protest movement has also strengthened the Left. The smaller parties’ vote showed the Left doing relatively well – AAA-PBP 3.6 per cent; Greens 3.5 per cent; Social Democrats 2.8 per cent; Renua 2.6 per cent; and Independents 16.1 per cent. However no one alternative to the centre right has emerged. Though Sinn Fein’s rise to astounding proportions has showed an appetite for real change – they oppose the water tax for example – but adopt austerity in the north. 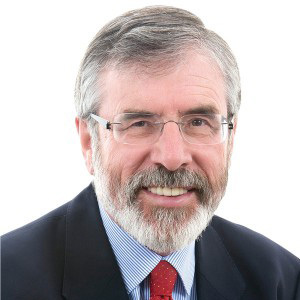 And though many fear Gerry Adams ever becoming Taoiseach, after today that is an increasing possibility. If Fine Gael join Fianna Fáil in coalition, that will leave Sinn Fein as the main opposition party. In just five years a lot can change, just as Fianna Fail’s fortunes most certainly have. Only time will tell if the next government listens to the ire of the people – as they clearly did not give a seal of approval to either of the majority parties. Could the very threat of Fine Gael/Fine Fael’s evaporation by the next election – proven by the reality of what’s happened to Labour after leading cuts to the working people and vulnerable – mean voters could have at least forced a change in targeting the poor, sick, and vulnerable? ← Daniel Radcliffe and Florence Welch have it – so why don’t we know more about dyspraxia?